Troubleshooting vCenter Server integration with NSX isn’t a whole lot different from troubleshooting the lookup service integration. 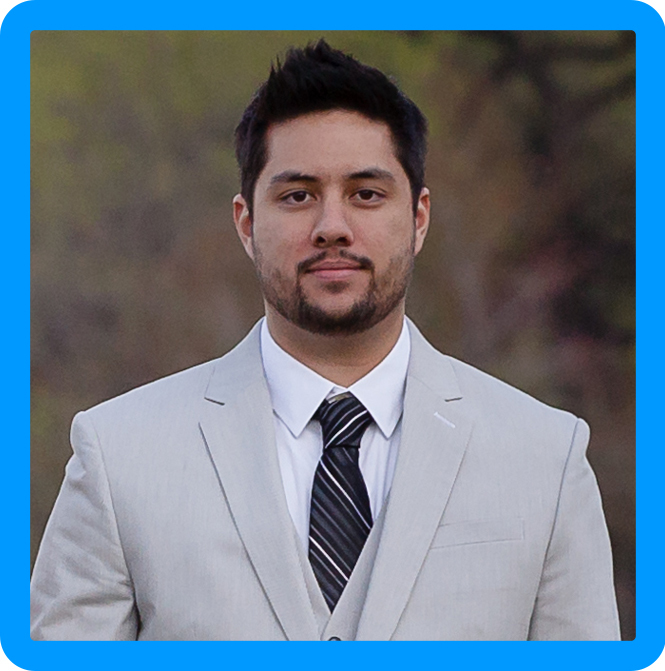 The main things you want to focus on are: DNS Settings, Administrative Privileges, NTP, and port connectivity. First, let’s start by checking DNS settings, you will want to make sure that the Fully Qualified Domain Name of the vCenter Server is configured for forward and reverse lookup. I know this would be outside of the scope, so just make sure that you are entering, the name correctly, and DNS is configured on your NSX Manager appliance or you will get the following error. 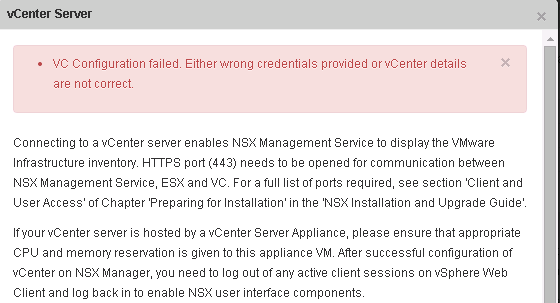 Next, confirm that you are using a vCenter Server Administrator. Otherwise, you may see the following error message. VC Configuration failed. Either wrong credentials provided or vCenter details are not correct. Also, check to ensure an NTP server is set up, and there is no sync. You can confirm this through both the GUI, and CLI. Last, check to ensure there is not firewall between the NSX manager and the vCenter Server, you will want to make sure that port 443 is open bidirectionally. This is most likely out of the scope of the test as well, but it is something to be aware of.